Mrs. Proctors Rhubarb Bread – this lady could really bake. 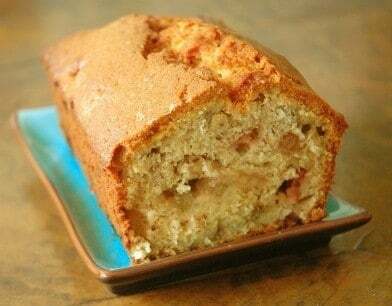 Home » Bread Recipes » Mrs. Proctors Rhubarb Bread – this lady could really bake. This different use of tangy rhubarb is “deeeeeelicious”. This recipe is from the archives of my grandmother, Ethel Eynard. Jefferson City, MO. 1971. Combine brown sugar and vegetable oil. Stir in egg and buttermilk with the vanilla. Add sifted dry ingredients. Stir in rhubarb and nuts. Pour into two well-greased loaf pans. Combine topping ingredients and sprinkle on top. Bake at 325 degrees about 40 minutes. Do not over bake. Remove from pans after two or three minutes and cool on rack. This was a great way to prepare Rhubarb.